On first glance, owning a franchise may seem like a fun and exciting investment. After all, who wouldn’t want to own a McDonald’s or Baskin-Robbins? Brand name recognition alone will draw customers to your restaurant, bringing in huge revenues—and hopefully profits. While this may seem like an easily attainable goal, a franchise is more than just fun and games. Owning a Florida franchise comes with many costs. You have an initial cost you must pay, as well as recurring costs. Additionally, there are many controls and restrictions, which can make owning a franchise a nightmare for those who don’t do their homework. As such, if you are considering opening a franchise, it is imperative that you learn more about what to expect as a franchise owner. Depending on what you are purchasing, you will be asked to pay an initial fee ranging anywhere from several thousand to hundreds of thousands of dollars. On top of this, you will need to pay to lease or own a space to sell your goods. You will also need to spend money on inventory, insurance and licensing. But the spending doesn’t end there. You will also need to pay recurring fees for royalties and advertising throughout the duration of your agreement, which typically lasts 15–20 years. Royalties go to the franchisor based on weekly or monthly income that your franchise generates. You may also need to pay fees into a fund to pay for national advertising or attract new franchise owners. 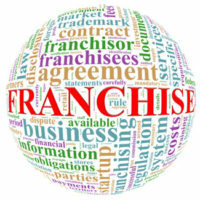 As a franchisee, you will also be bound by numerous controls. You won’t be able to operate the business as you please. The franchisor will need to approve everything, from your location to design to the operation procedures to the good and services for sale. You may have to undergo regular renovations, use special uniforms for your employees and operate only during specified hours. You may also be forced to purchase supplies from a specified vendor, even if you can find better prices elsewhere. All these controls can affect your bottom line and make it difficult to earn a decent profit. Before you dive into the world of franchising, consider a few things. How much are looking to invest? Do you already have this amount saved up, or will you need financing or help from family? How much money can you comfortably lose? There is no guarantee of success, so be sure to think carefully before making a decision. Do you have any experience running a business? What skills do you have that will translate to this business opportunity? What business goals do you have? Do you plan to have an additional source of income while operating this franchise? Successfully operating a franchise is no easy feat. There are many costs involved and you are under strict controls that can limit your profits. Be sure to understand the pros and cons carefully before signing a contract. Godfrey Legal can guide you through the franchise process and make sure you are poised for success. We can review contracts and other documents and look for pitfalls that can bar you from achieving success in your new business venture. Don’t agree to anything without a thorough legal review. Contact us for a consultation by calling 407-890-0023.